Dayton Boat Club masters rower Amy O’Connor, front, leads the novice team — graduates of the spring 2018 learn-to-row class — in a practice on the Great Miami River. The novice team won a gold medal in August at the Midwest Summer Sprints in Nashport. MORAINE — The Dayton Boat Club adult rowing program will host its late-fall learn-to-row class Friday through Sunday, Nov. 2-4, at the club’s boathouse on 3040 East River Road in Moraine. Several current members of the Dayton Boat Club are from the Greene County area, with members competing in state and regional rowing events. Club members can compete at various skill and age levels. The fall Learn-to-Row sessions will take place from 5:30-7:30 p.m. Friday, Nov. 2; 11 a.m.-1 p.m. Saturday, Nov. 3; and from 2-4 p.m. Sunday, Nov. 4. The course fee is $100 per person, which is deducted from a rower’s seasonal dues if he or she joins the team for winter workouts following the course. Each participant should wear comfortable but not loose-fitting exercise clothes suitable for the forecast temperature. Bring a water bottle, a pair of socks and a small towel. Jane Wittmann, a 15-year member of the club, will be the course instructor. 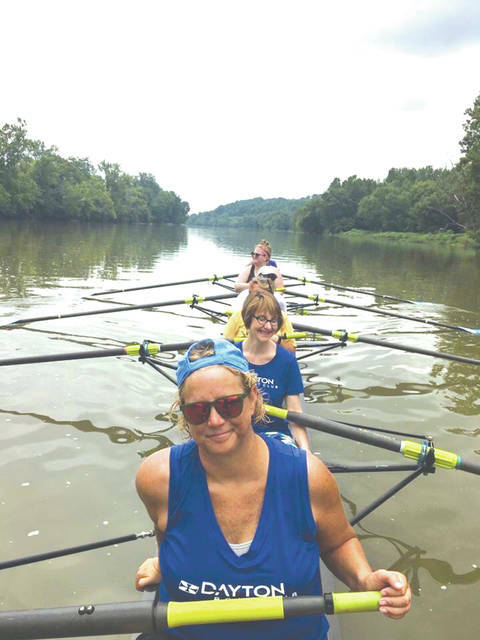 https://www.xeniagazette.com/wp-content/uploads/sites/32/2018/10/web1_DBCFallLearnToRow_PS.jpgDayton Boat Club masters rower Amy O’Connor, front, leads the novice team — graduates of the spring 2018 learn-to-row class — in a practice on the Great Miami River. The novice team won a gold medal in August at the Midwest Summer Sprints in Nashport. For information or to register, see daytonboatclub.org/adult-learn-to-row.html.